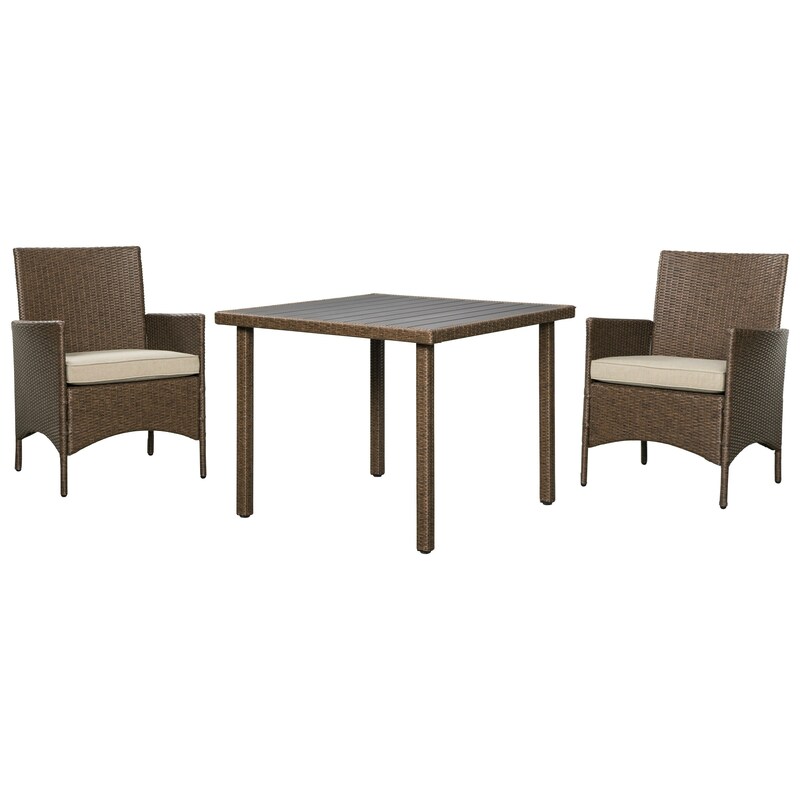 Perfect for a smaller patio or backyard space, this dining set is quaint and beautiful. The all-weather resin wicker over a rust-proof aluminum frame is perfect for withstanding the outdoor elements, and the foam cushions offer additional weather-proof comfort. The Reedenhurst 3-Piece Square Dining Table Set by Signature Design by Ashley at A1 Furniture & Mattress in the Madison, WI area. Product availability may vary. Contact us for the most current availability on this product. Table Info 36" square aluminum slat-top table. No umbrella hole.